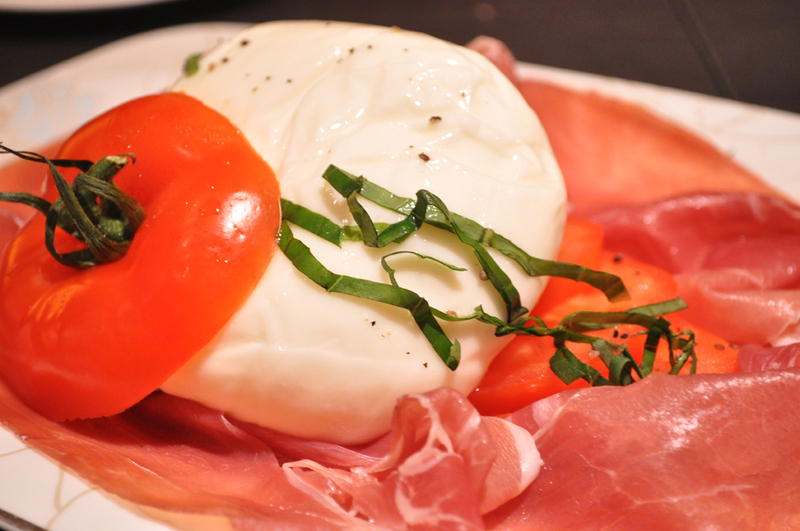 I grew up eating Italian food on a regular basis and it has become one of my comfort foods. Though my Mama is not Italian, she does cook a kickass Bolognese and Carbonara, always enough for 20 people but I'm not complaining as I happily eat the leftovers the next day. This means I am very ready to try out new Italian restaurants whenever I hear of one. Last week, I went to check out Burlamacco at Amoy Street with a couple of friends. The Burlamacco is a carnival mask from the characteristic town of Viareggio in Tuscany where one of the most famous Italian carnivals is celebrated. The playful and fun name seems to have spilled over to the décor, from the colorful hanging lamps at the entrance, through to the red banquettes and numerous vibrant paintings lining the walls. 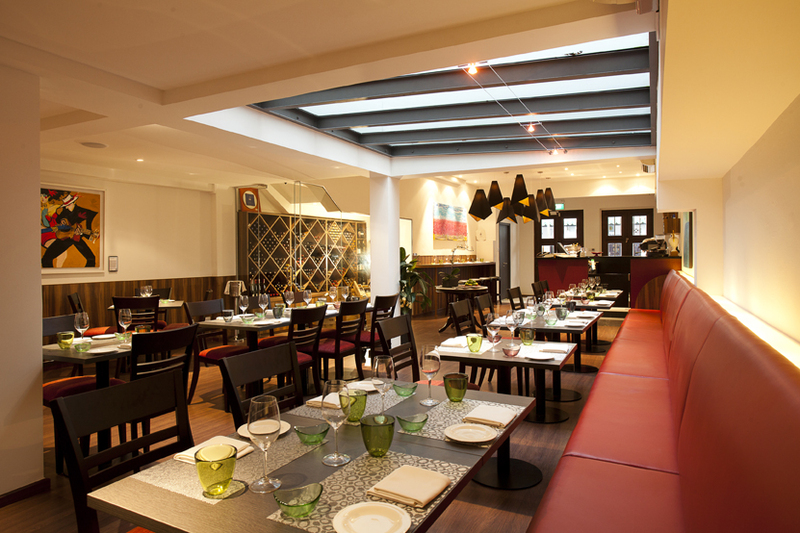 The wooden laminated floor and walls help to balance out the colors, resulting in a stylish and modern looking restaurant. The waiters here are attentive and are well versed in the menu thanks largely to general manager and partner Paolo Colzani. Paolo has worked in Les Amis and most recently in Garibaldi where he was awarded Manager of the Year at the 2012 World Gourmet Summit. 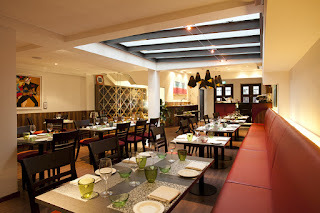 The other partner of the restaurant, Chef Gabriele Piegaia, was formerly chef at Senso and Alkaff Mansions and is responsible for the Tuscan cuisine served at Burlamacco. We started with a sharing portion of Burrata cheese and parma ham since my dear friends have not tried burrata cheese and partially because it is my favourite fresh cheese. The sweet creaminess of the cheese always goes well with the savory ham.The one served here comes with sliced tomatoes although I would have preferred some rocket greens to make me feel less guilty. 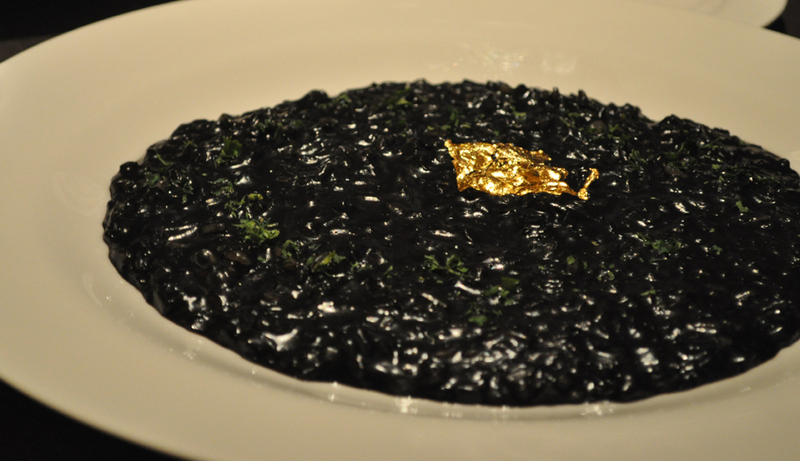 For main course, we first had the squid ink risotto. 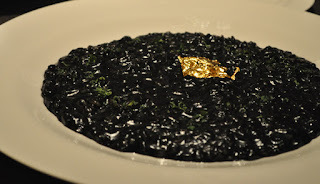 The dish is so deliciously rich, not because of the gold flake in the middle, but because of the good amount of starch extracted from the rice, the squid ink and butter. I always thought I preferred Paella but Chef Gabriele’s risotto has me sitting on a fence. I don’t know which one I prefer, the only thing I know is not to open your mouth or smile widely after taking a spoonful of squid ink anything. Next we had the Cacciucco, a traditional fish and seafood soup. Again, the dish is not the most pleasant looking however try the soup and you will very well find yourself finishing it and wishing there was more. The tasty seafood broth is filled with clams, mussels, langoustine, cod and what looks to me like the secret ingredient, dried cuttlefish. The garlic bruschetta is served completely soaked in the soup which is something I don’t normally like due to the lack of texture but surprisingly I enjoyed it here. 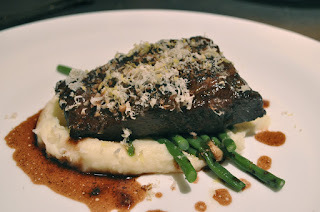 We finished off our meal with the slow cooked beef short ribs in port wine. The beef tasted a little sweet and it was cooked perfectly. The meat was not so stringy and the good amount of intra-muscular fat made it very tasty. (I can’t help but think of the game Candy Crush when I mention the word tasty, not because I play it but the whole world around me seems to be) We had the meal with a bottle of Italian wine that was labeled with the restaurant name. The waiter told me that they tasted the wine in the pre-opening and it was so good that they purchase all available stock of the wine and put their label on it. We truly enjoyed the full bodied wine which had a long and pleasant sweet finish. We could not stay for dessert although I heard the hot molten chocolate tart is really good. Burlamacco enters the competitive Italian dining scene by providing good food at reasonable prices. Couple this with their personal touch in service, it is no wonder the restaurant was full when we were dining there.